Baseball is an easy sport to bet, there are no point spreads to cover, so basically all you have to do is pick the winning team, and in the worst case scenario, if both teams are equally talented then you get a 50-50 chance, which is not bad. But thankfully in the world of baseball, things are a lot more defined, and the vast amount of information and stats that are available to the general public makes it a very popular sport to wager on and win. However, if you are looking to maximize your returns, you need to find the best sportsbook to bet MLB games at, and this could mean countless hours of research on you part. The typical things one looks for when shopping for an online sportsbook, are things like easy ways to deposit and withdrawal, good wagering limits, great customer service, a user friendly website, quick line updates, good selection of betting options and props. While all of these things are important and must be taken into consideration, when you bet on baseball you also need to find a place that offers great odds. MLB is a completely different breed of gambling sports, unlike football and basketball, you don’t have the benefit of spread, which as we all know tend to be very similar across the board in the sportsbook world. So what constitutes the top sportsbook to bet MLB is reflected in how sharp and fair their money lines are. There are 162 baseball games a year, if you can save a buck here and there on every game you bet, this could mean the difference between having and ok season and having a great season. 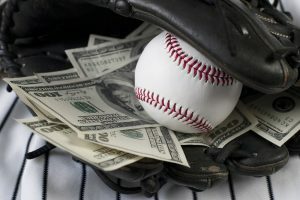 Put in simple terms if you bet lines that are 2,3 or even 5 cents cheaper it could mean up to 50% more profits during the season, and if you are an avid baseball bettor that could mean hundreds or even thousands of dollars in a single season. So although it will require work on your part to find the best sportsbook to bet baseball games, in the long run all the time you dedicated to the search will pay for itself 10x over. I am aware that everyone has different betting patterns and some books will accommodate some players better than others, but what I’ve seen consistently, is that AceSportsbook.com has something for everyone. I especially like the fact that their lines are updated quickly, they have a good selection of deposit and withdrawal methods and there isn’t a waiting list to get your payout. When it comes to baseball I’ve often found value in their lines so it is definitely a place I check before I make any bet. If you are starting your search for the perfect sportsbook to bet MLB, make sure to include them in your short list, signing up is free, so you can check the lines and the site before you even make a deposit eliminating the risk.